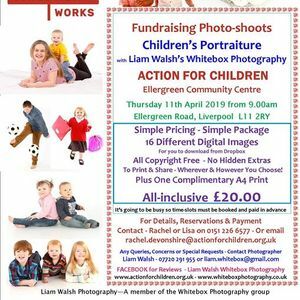 After a successful photography day last year, Liam has kindly agreed to come back in the Easter holidays, to do photograph sessions for your children. £20 will confirm your 10 minute place and will include approximately 15 digital images and a free A4 print. £20 covers a Maximum of 4 children. If you would like to book a place, be quick, as this date is bound to be popular. Please note, slots can not be reserved without payment.